We have plotted here >4.5R events from 1-1-2018 to 20-2-2019. It is interesting to try to fit straight lines through the data with maximum number of epicenters. 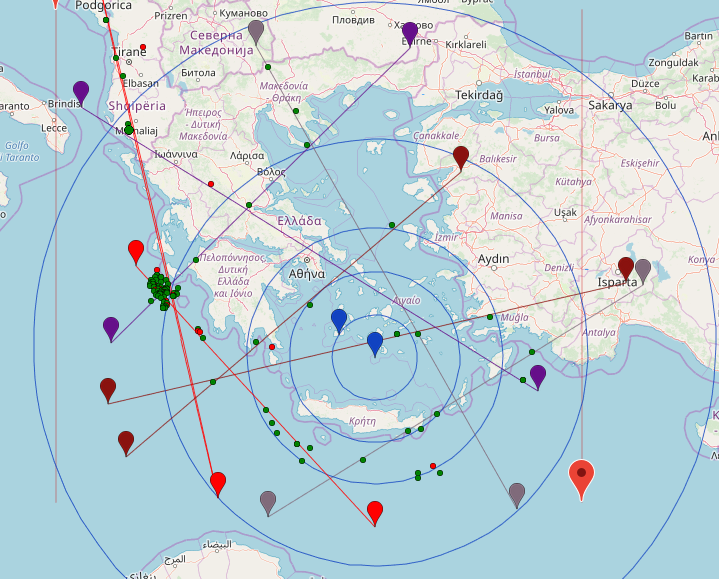 Adding a circle is also interesting and we can see when the center of the circle is near Santorini we do get many dots fit in. It seems this volcanic erruption has imprinted the area so that years later the earthquakes form around it.